I created Cause Capitalism to answer the question of how you can have a stronger business and help change the world. The problem with such a nifty concept is that it’s still new, which means that all the ‘market mechanisms’ aren’t in place to help your early social enterprise scale to serve more people. As I wrote here, for-profit social entrepreneurs have a hard time getting funding because they don’t meet the criteria of traditional investors and are blocked from receiving donations or grants. Kevin Jones founded Good Capital with Tim Freundlich to provide expansion funding for social entrepreneurs who are ready to scale up. To qualify for expansion funding, your company must have real revenues, a leadership team beyond the founder and no business model or technology risk, at a minimum. (If you need to seed funding, I’ve listed some other social venture sources here). Click the player below to listen to Kevin articulate his vision and talk about some of the social enterprises he’s working with. Or right-click and save for the MP3. After several excursions into the nonprofit sector (he joined a couple of nonprofit boards as a way to give back, but realized the slow consensus process wasn’t for him) and a direct service stint leading a malaria program in Swaziland and Mozambique, Kevin circled back to his core area of entrepreneurship and launched a firm that gave entrepreneurs the tools they needed to affect social change. Despite initial skepticism and scoffs from other investors who felt that factoring in social metrics was a fool way of doing business, Kevin and Tim have built Good Capital into a profitable business. One of its portfolio companies, Better World Books, has grown three times since the firm invested 23 months ago and is now being studied by Yale Law School for the way it bought ‘insurance’ for its social mission by transferring portions of its founders’ stock to its nonprofit partners. 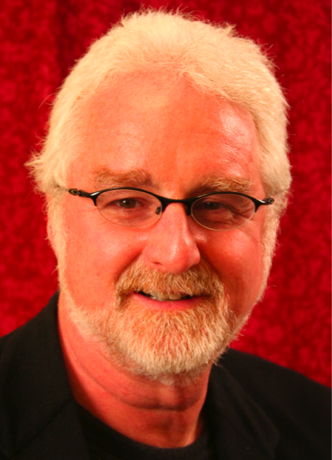 About Kevin Jones: Kevin is the co-founder of Good Capital and convener of SOCAP. Five out of six of his previous businesses achieved market dominance before he left or sold them. He’s written for Forbes and Business 2.0 magazines. You should tell him what you think of the interview on Twitter at @kevindoylejones.com. I’m interviewing other social venture funds for Cause Capitalism. Based on what Kevin spoke about in the interview, what should I ask upcoming social venture capitalists? What do you need to know to maximize your vision for social change? Share it in the comments or email me, olivia(at)causecapitalism.com.